Bovis Lend Lease (now Lend Lease), as part of a Joint Venture with Parsons Brinckerhoff, is providing consultant construction management services for MTA New York City Transit’s Fulton Street Transit Center project. The project involves the transformation of the existing Fulton Street/Broadway-Nassau Street Stations, a complex of separate stations originally constructed between 1905 and 1930. The transit center will improve access and connection between six existing subway stations (containing 12 different transit lines); will include new entrances, escalators and elevators; and will link New York City Transit facilities with PATH services in the redeveloped World Trade Center Station. It is designed to accommodate a passenger flow of 290,000 per weekday between subway lines. The project will satisfy ADA accessibility requirements. Additionally, he project is being built with the potential for LEED-NC certification. Bovis Lend Lease (now Lend Lease) was selected to provide construction management services for the National September 11 Memorial and Museum at the World Trade Center. Bovis Lend Lease was privileged to be one of the first responders after the attacks of September 11, 2001 and is honored to return to the site in an effort to bring closure through the construction of what will be a hallowed landmark. The Memorial: Reflecting Absence The scope of work for the current design of the Memorial will include both core and shell and fit out and will be located at the World Trade Center site. The memorial and its plaza contain and mark the footprints of the original Twin Towers. The predominant outdoor features of the memorial will be a landscaped plaza approximately 184,000 sf and the two pools marking the Twin Tower footprints at 31,264 sf each. The Memorial Museum will occupy approximately 110,000 gsf of space spread over five below grade levels. These levels will include lobby, security, visitor services, assembly, administrative, exhibition, education, support service and loading bay spaces. LEED The National September 11Memorial and Museum at the World Trade Center is targeting a LEED-NC Gold rating. HuntBovis was selected by Queens Ballpark Company, LLC, to provide preconstruction and construction management services on a new state-of-the-art facility designed specifically for the New York Mets baseball team. The new venue features a natural grass playing field and a seating capcity of 41,800 fans. A contoured seating configuration – with wider seats and more legroom between rows – brings spectators closer to the field on all levels to provide optimal sightlines. Concourses are wider for easier access and are designed to give a 360° view of the playing field. The new venue has increase per-fan restroom facilities and concession areas to reduce lines. Vertical transportation includes three freight elevators, one service elevator, fourteen passenger elevators and ten escalators. Inspired by tradition, the new ballpark is clad in brick, limestone, granite and cast stone, with the brick closely resembling the masonry used at Ebbets Field, the home of the Brooklyn Dodgers. These exterior wall systems are precast concrete panels, aluminum curtainwall, metal panels and masonry walls. Landscaping, lighting, banners, and plaza finishes are designed to enhance the environment for the fans. Additional design elements include exposed trusses, light towers, a scoreboard structure, and a roof canopy that recalls historic ballparks. Citi Field is a more fan friendly park than its predecessor. It features an expanded Fan Fest family entertainment area and will incorporate a New York Mets interactive museum and Hall of Fame. There is a sit-down restaurant with field view seating. The restaurant, as well as the suites and clubs were finished with millwork and tile floors. The facility includes State-of-the-art video boards, sound systems and significant ADA enhancements. 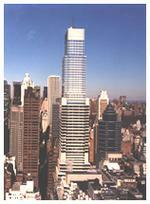 New York, NYCLIENT: Vornado Realty TrustPROJECT SIZE: 1,387,250 sq. ft.TYPE OF BUILDING: Mixed-Use BuildingCONSTRUCTION VALUE: $462,000,000ARCHITECT: Schuman Lichtenstein Claman Efron Architects, Cesar Pelli & Assoc. Inc.
731 Lexington is a 53-story, 1.4 million sf, mixed-use building containing retail space on the lower floors and 900,000 sf of commercial space up to the 28th floor, including the space occupied by Bloomberg. The 30th – 53rd floors contain 105 high-end residential condominiums. This project was constructed on the old Alexander’s Department store site, and was one of the last square blocks remaining in New York City. The midtown construction site was bordered by two busy avenues, Lexington and Third, as well as 58th and 59th Streets which are both approach streets to the outbound 59th Street Bridge. Based on this location, lane closures were very difficult, so the logistic plan was developed by staging the delivery of steel and other construction materials inside the property line whenever possible. The retail and commercial portions of this mixed-use building were constructed with structural steel with concrete on metal deck. The residential portion of the building is reinforced concrete. The curtain wall system is glass and aluminum. 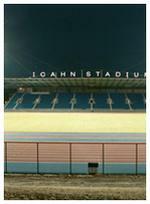 Bovis Lend Lease (now Lend Lease) constructed the new track and field sports complex on Randall’s Island. The new facility serves as the City’s new major outdoor track facility, replacing the recently demolished Downing Stadium. The scope involved the management of the development of this new track and field sports complex, infrastructure and other related improvements on Randall’s Island. The new facility includes a fully irrigated 400 meter world-class “Mondo” track with an associated sodded turf field in the center, 5,000 permanent spectator seats to accommodate competitive track and field events, equipment storage spaces, locker rooms, sports medicine offices, training and conditioning facilities, administrative offices and a second natural turf playing field. This development also includes parking lots, a stadium roof, public transportation and circulation improvements, as well as upgrades and expansions of existing utilities. Bovis Lend Lease completed the interior fit-out of all restrooms, locker rooms, office and public spaces.